Bessie Pease Gutmann was an American artist and illustrator most noted for her paintings of infants and young children. During the early 1900s Gutmann was considered one of the better-known magazine and book illustrators in the United States. Her work is still very popular to this day, and has become highly collectible. 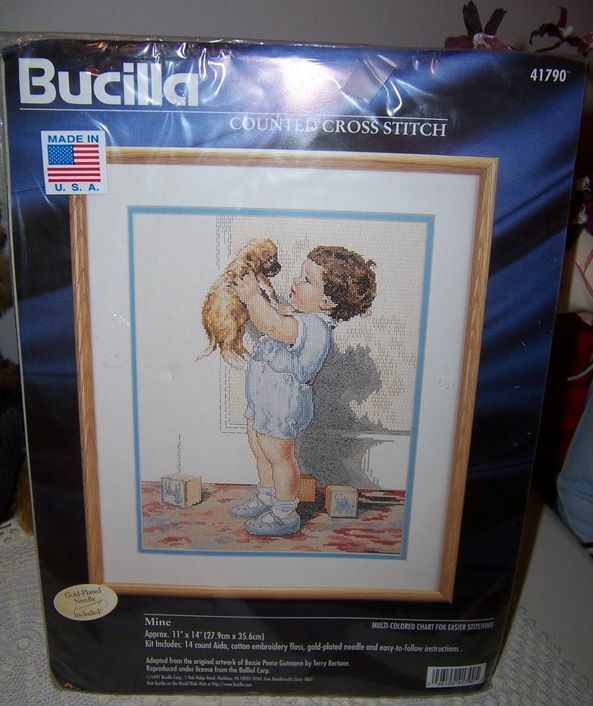 This is a gorgeous cross stitch kit showing a picture of a young boy holding up his puppy and appears to be telling him off because he has knocked down all his toy blocks.